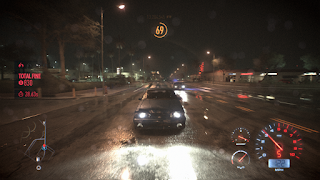 Need For Speed is a racing video game by Ghost Games and published by Electronic Arts and released for the Xbox One and PlayStation 4 in November 2015. This game is a reboot back to the tuner (Fast and the Furious) style of gameplay that EA had success with in the Need For Speed: Underground games. 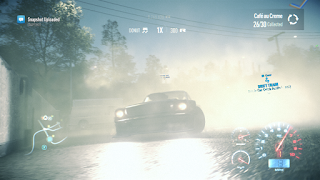 Need For Speed was added to the EA Origin service in 2016. After having a little fun playing Need For Speed: Rivals I didn't much care when this game was released. When I saw that it was added to EA Origin I decided to take a chance on it. The game begins and after a quick little race you join up with a crew and you get to choose one of three cars to make yours. 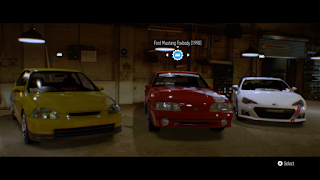 The Honda Civic SI and Scion (Toyota) FS-R are fine cars and are completely the kind of cars you'd expect to start with in a game like this but I was so happy when I could choose a Fox Body Mustang!! I can name on one hand how many racing games had a Fox Body Mustang to race with so I was very happy with EA. I got my Mustang and used it all the way to level 70 not counting the races that I had to drive specific cars. Point 5 past Light Speed, pretty fast Mustang. As the game begins you join a racing crew and they offer you races which earn you some money to buy better parts and new cars. You will also earn XP by completing races, the better you do the more you get. 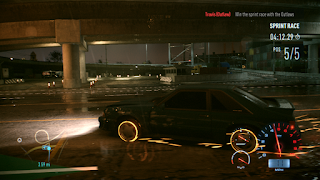 You also earn XP while driving around the city doing crazy stuff like drifting and high speeds. I found out at level 67 that you could automatically travel to any race you wanted and that's probably why I was able to hit level 70 as quick as I did because I drove from one race to the next. Because I drove to each race I had the GPS direct me to the race and it will put you on the absolute fastest route including have you driving on the highway in the opposite way and trust me you'll get a lot of XP trying to avoid oncoming cars while you're traveling at 200 mph. Each of the people in your club has a different style of racing, one is into drifting, one likes circuit races and so on. The difficulty is predetermined so if you are having a hard time with one race you can try someone try something else and then go back to the tough race with new parts on your car to give you a little edge. Cars in this game can be damaged and it looks pretty good. Also like most of these games, the damage is all superficial which allows you to do things against the rules of physics but what can you do about it. Now let's move on to the cut scenes in this game. I can honestly say I wasn't expecting Full Motion Video (FMV) cutscenes and if you read my Sega CD review then you'd know that I love them! Overall I think they were pretty good but some of the dialogue was pretty corny. I liked some of the characters and there was one or two that were pretty annoying. If you've played many FMV games from the 90's you'll notice that these cut scenes even feel like the originals did. I bet if you took the cut scenes in this game and made them look like a Sega CD cutscene the average person wouldn't realize the 25-year gap. 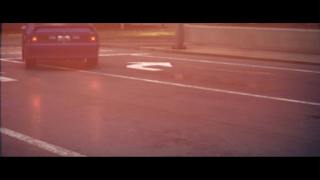 One neat thing was that during cut scenes the characters would walk around your CG car and while it wasn't quite believable it was still cool. Eventually, you'll finish enough of your friend's races that a real life person from that racing discipline will show up and race you. These fellows include Magnus Walker, Akira Nakai, Risky Devil, Shinichi Morohoshi and Ken Block. I guess I'm getting too old but the only one I recognized was Ken Block and that's because of his Mustang. Once you beat these icons you are giving their cars to drive which I'll admit was pretty cool. Once I had Ken Block's Mustang I switched to using that for drift races instead of my car so I didn't have to keep switching its tune. While driving around the city you'll come across some things that will earn you extra XP. You'll find places where you can do donuts, look at beautiful vistas where you can take a picture of your car in the dark and finally you'll find trucks scattered around that have performance parts for you to steal. Naturally, you can use the parts on your car but the other two exist only to give you some XP which is kind of nice in a game for a change. I found some new racing parts so I won't have to overnight parts from Japan. 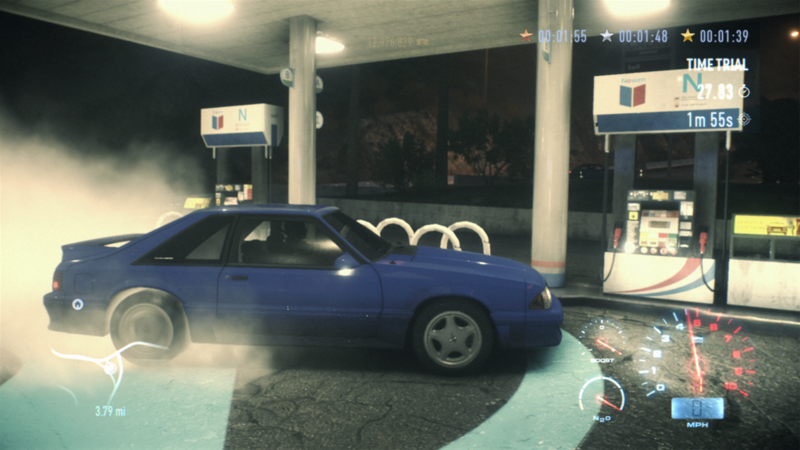 Unlike Need For Speed: Rivals, I like how police are implemented in this game, they work just like in the real world. You drive by them too fast and they pull you over and give you a ticket. If you don't stop they chase you and either you evade them or they arrest you which just means you pay more money. In the game world, you'll find police driving around and you'll find them hiding behind objects just waiting for you. If you decide to run you'll earn heat just like in Grand Theft Auto. 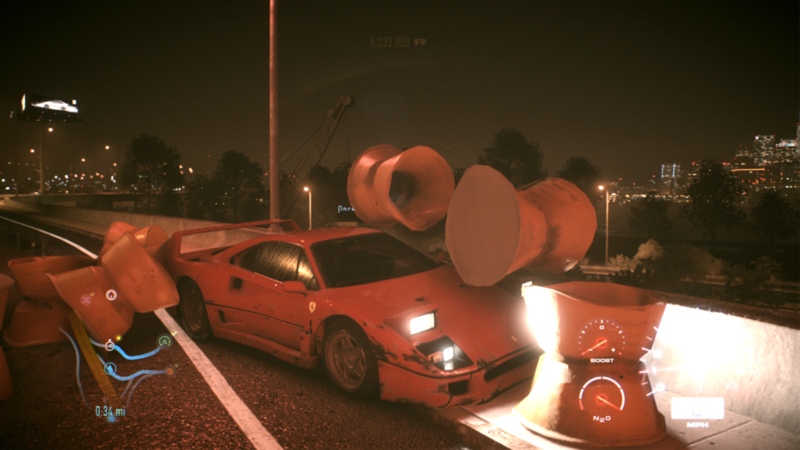 If you commit more crimes during the chase like hitting stuff and you make the cops mad at you. When they get mad more cops enter the chase. If you keep going they start to close the roads and if that doesn't stop you they bring out the stop sticks and good luck if you hit them. I'd have better traction on ice. If you escape the cops just head to the closest gas station which will also fix your car but you actually don't have to worry about fueling your car. The cars in this game can be modified both visually and performance wise. As you earn XP and increase your level new items will be unlocked. Certain items are unlocked after winning specific races. There are a number of parts that can be upgraded and unless this is your first racing game you'll know what they are. Each part has different ranks which make it easier to know what you need to upgrade next. By the end of the game my Mustang was fully upgraded I don't know if that's good or not. I've argued for years with my brothers that the rake of a car was a thing. 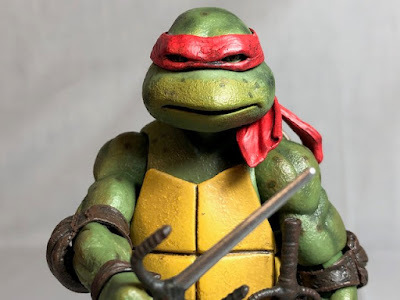 I personally do not go crazy with visual modifications but there is a lot you can do. 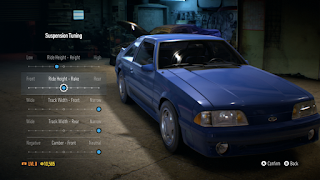 Each time I unlocked a new visual part for my Mustang I would see what it would look like but for the most part, the part would make the car look stupid, at least in my eyes. Let's face it though, tuner fans and muscle car fans completely modify the look of their cars in different ways. 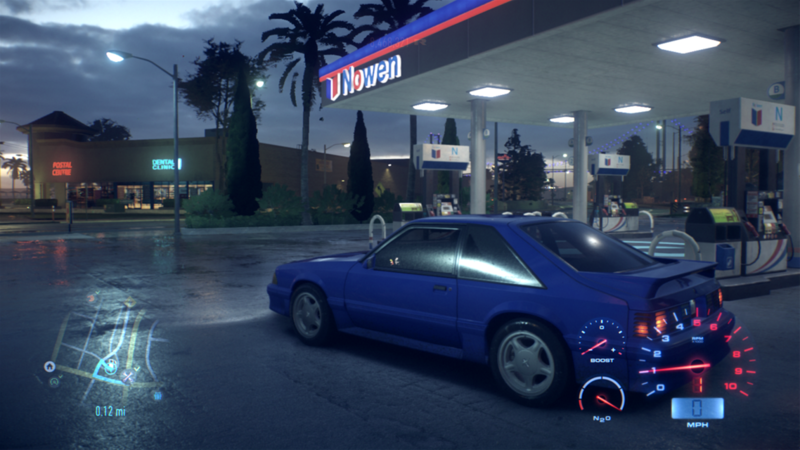 You can also get into paint and decals and the community has created some great looking wraps for cars. 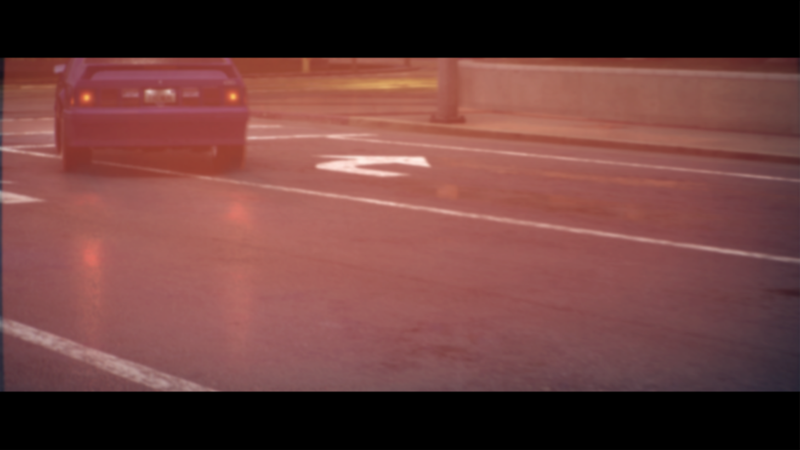 When you get your car looking the way you want it to the game has a camera with a few options that you can play with to get the perfect shot of your car. 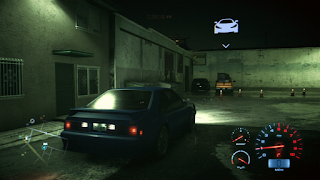 In the game, you have a garage which can hold four cars plus your current cars. If you have more than that you can also put five cars into storage for a total of ten cars. All the cars from the Icons cost nothing and if you need to delete them to make room for cars you want it's no problem because you can repurchase them at any time. The game has many different cars that you can purchase but not so many like in Forza or Gran Turismo. Most of the major brands have a car or two with premium cars from BMW, Porsche, Ferrari, Lamborghini. I was surprised when Ford showed up with six cars including the new Focus RS and a 32 Ford Coupe (Little Deuce Coupe). The rest are Mustangs and of those, you can buy a 1965, 1969 Boss 302, 1990 GT (Fox Body), and the 2014 GT. I was very happy about this. Non-Ford fans will probably find a few cars to their liking. 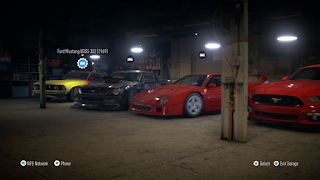 My garage at the end of the game. Need For Speed had a few issues that I wasn't too happy with and they almost all come down to one thing, playing online. As soon as you start the game the map is populated with real people. Personally, I want nothing to do with these guys as I'm trying to complete the solo campaign. Normally this isn't a problem because other players cars can be seen but not touched but it doesn't work like that in this game. You could be 3/4 of the way done during a ten-minute race and some jerk slams into you destroying any chance you had of winning. So you restart the race and it happens again. Now, for the most part, this guy's race has been ruined by you as well but I know for a fact that during one race the guy purposely turned into me ruining that race. Luckily when you start a race you have the option of allowing real racers into you race but I was just fine not inviting me. After awhile I tracked down how to play in a solo world and from then on that's what I did. For the most part, the game ran smoothly for me but near the end of the game I don't know what happened and I couldn't play on a solo map anymore and with the hardest races being at the end it made me more than a bit angry at times. 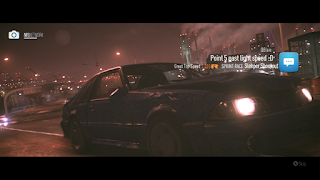 I wasn't happy about it but at least I understood that I'd have to be careful racing around real people but then the game started kicking me out of the lobby even when I didn't want to be a part of it. There is nothing wrong with having an online mode but make it optional, it's sad that all these new games are doing this. Years into the future will we not be able to play these games because the servers are shut down? OK then I have one last gripe with this game and it is the darkness. I'm not joking about how bad it was, I didn't know you could get S.A.D. 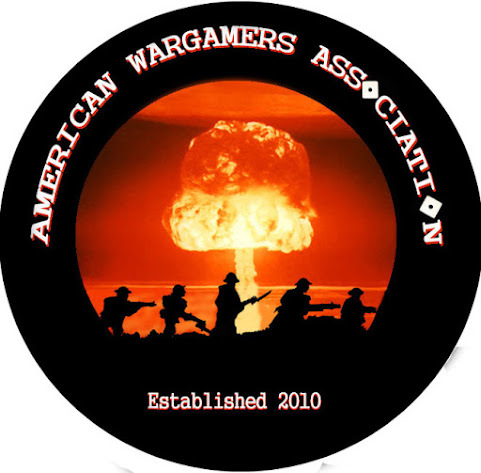 from a video game. I'm so happy for the sun I'm celebrating with donuts. 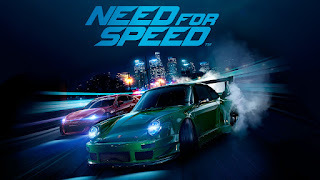 I know that illegal racing normally occurs at night but EA could have had a night and day change with races in the day being more dangerous because of more cops and more people driving on the roads. This game does look great but I think this might be intertwined with the darkness. There are no humans in the world to hit because they are sleeping? So they didn't have to waste time adding people in. Also, the darkness makes the game look better because you can hide lots of things that you couldn't with the sun shining down. With the darkness and the constant rain, it made things hard to see at times. Once my car could hit over 200 I had a hard time racing and had to keep looking at the map to see what was coming up. The game also has some sponsors and they do it pretty nicely. Hot Wheels is a sponsor which makes sense as they make toy cars. As you drive around you'll run into some Hot Wheel trucks on the road. On the other hand, Ken Block is sponsored by Monster Energy Drinks and since Monster logos are all over his Mustang, Monster was also coming for the ride. Unfortunately, nearly everyone in this game is wearing Monster hats or drinking Monster, it gets so bad that your crew has a toast and they are slamming cans of Monster together, ugh. 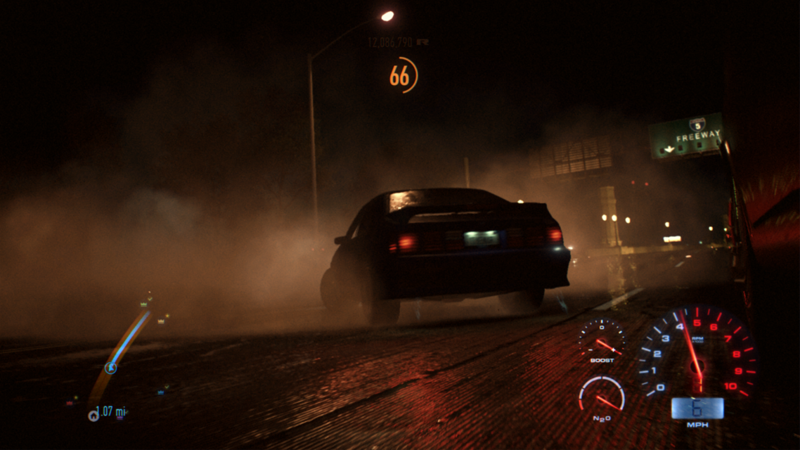 Like all good racing games, you can do burnouts! In the end, I liked this game and thought it was a big improvement over the last Need For Speed. If they turn the lights on and make online optional I think the next game will be a great game. I give Need For Speed a 6 out of 10. Driving Off Into The Sunset, again.